These belts are a great way to cinch your waist and accentuate your curves. Approximately 34" inches long and totally adjustable. 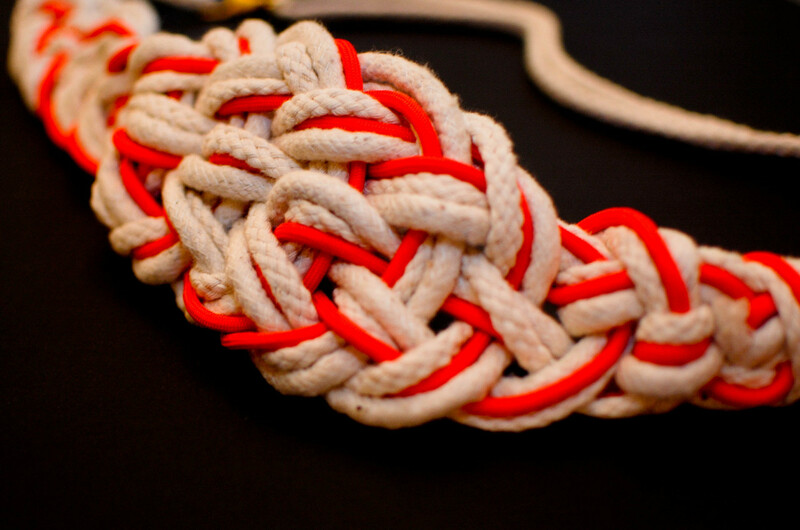 Wear it long and at your waist, or knot the belt close to the knotted section and its immediately shorter and can worn at your waist! Swivel Clasp for closure. Three different kinds of rope are mixed in this belt. 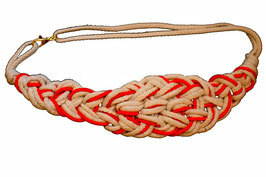 Woven cottom rope, speckled natural rope and burnt orange cord.